If the bride has decided to go big, you can bet her Fearless photographer will be right there to capture the madness. 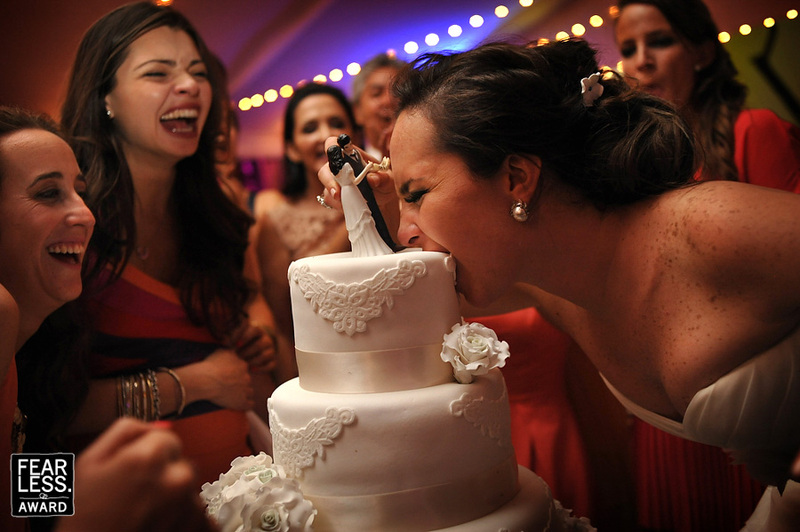 As she dives face-first into the cake, the soft light, warm colors, and giggling onlookers add to the silliness and charm. Even the cake toppers look a little surprised!